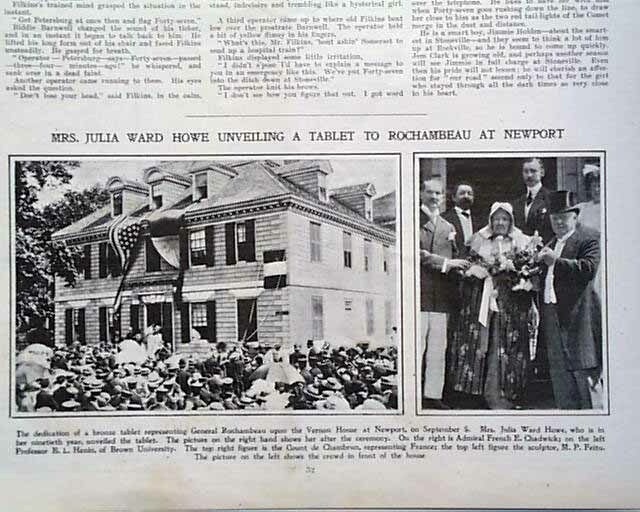 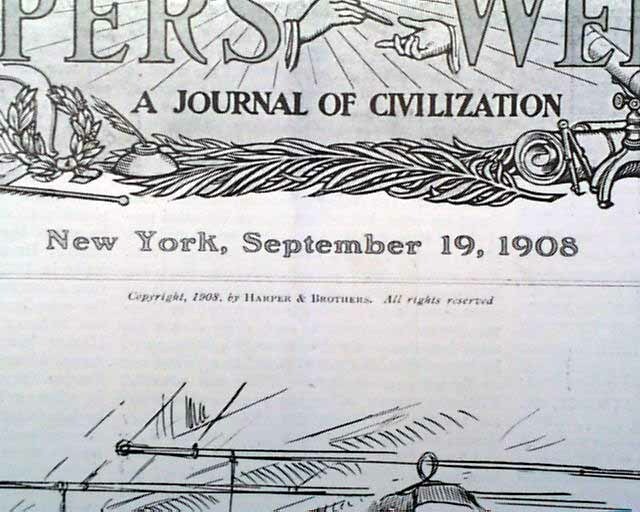 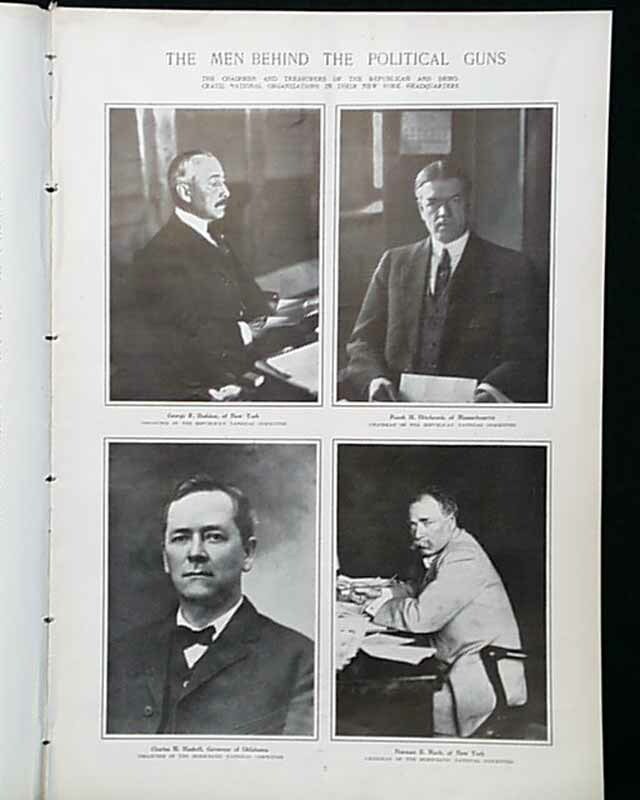 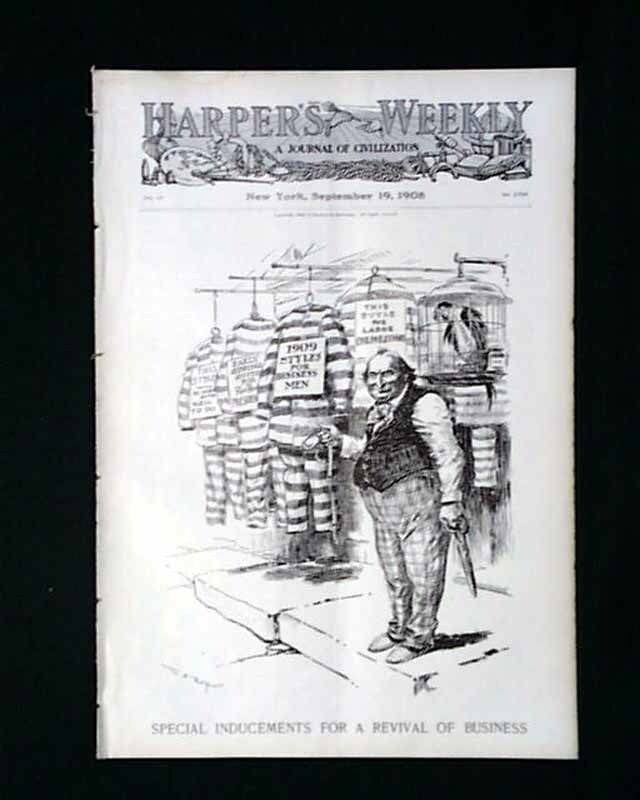 This issue has photos of "The Men Behind the Political Guns" and "Folk Dances by New York Schoolgirls." 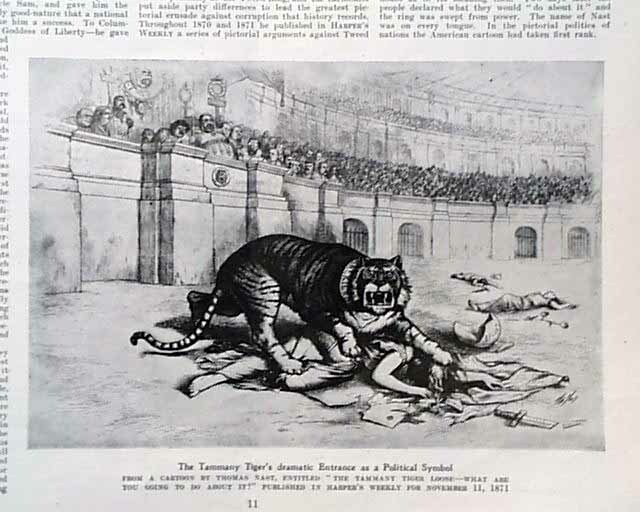 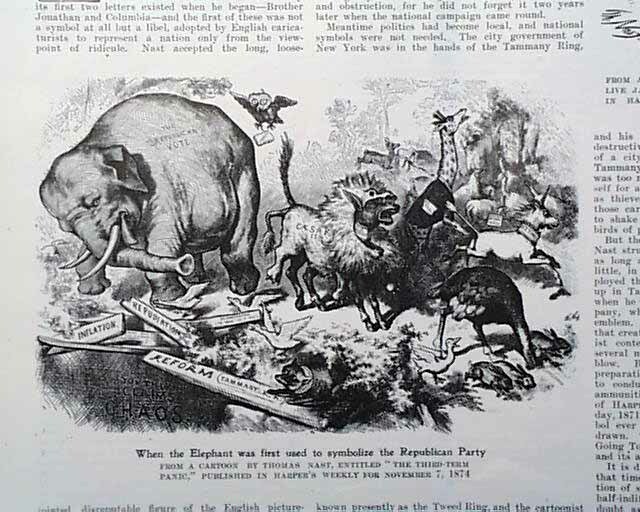 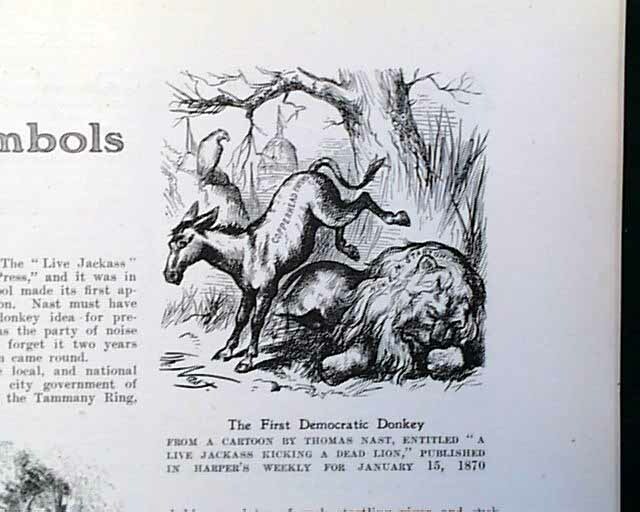 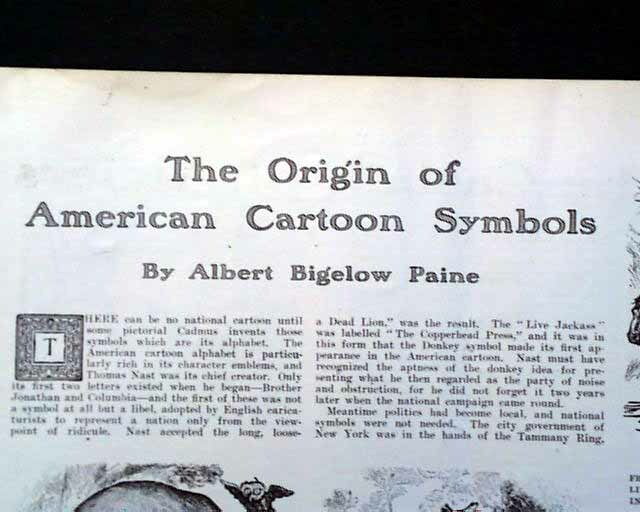 There is then an article of "The Origin of American Cartoon Symbols" by Albert Bigelow Paine which includes pictures of cartoons of the past by Thomas Nast which includes the famous First Republican Elephant and First Democratic Donkey as well as the Tammany Tiger. 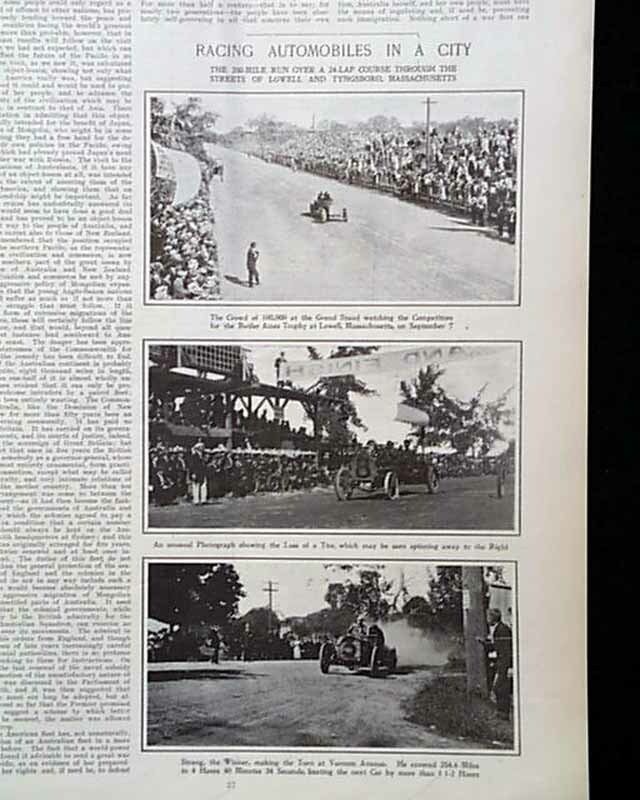 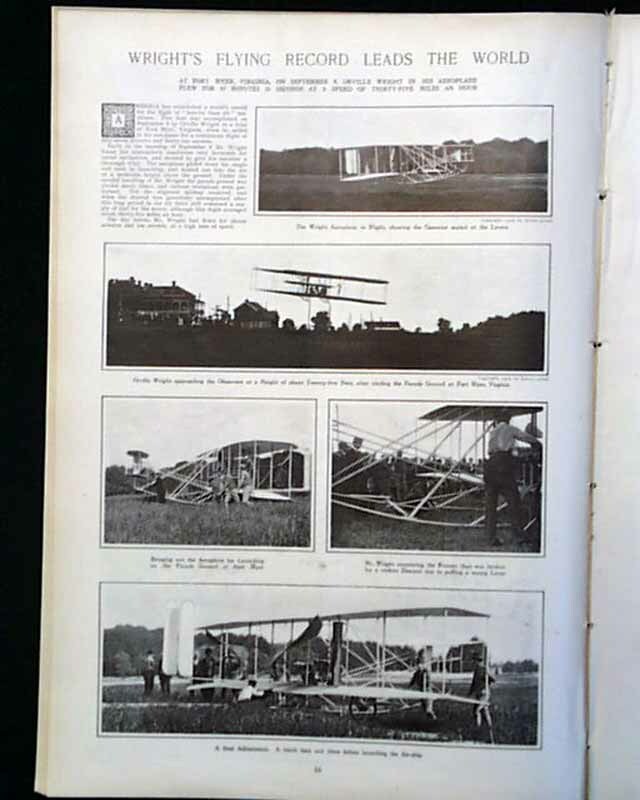 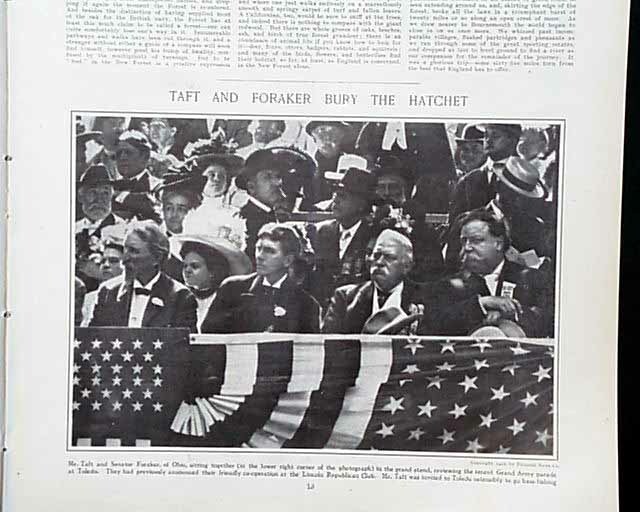 Also included is a photo of "Taft and Foraker Bury the Hatchet" and photos of "Wrights Flying Record Leads the World." 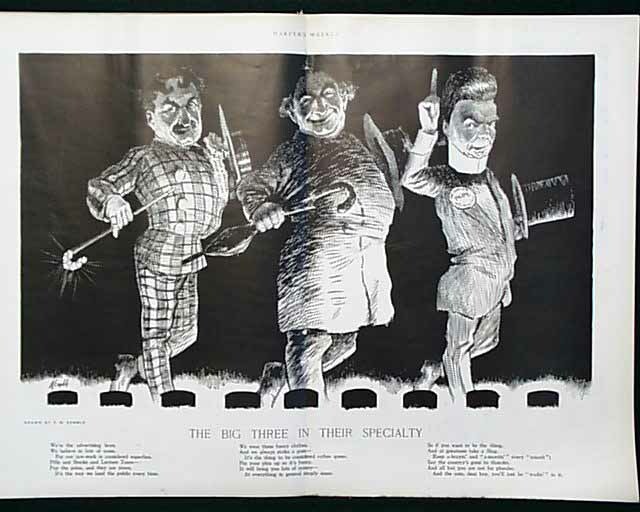 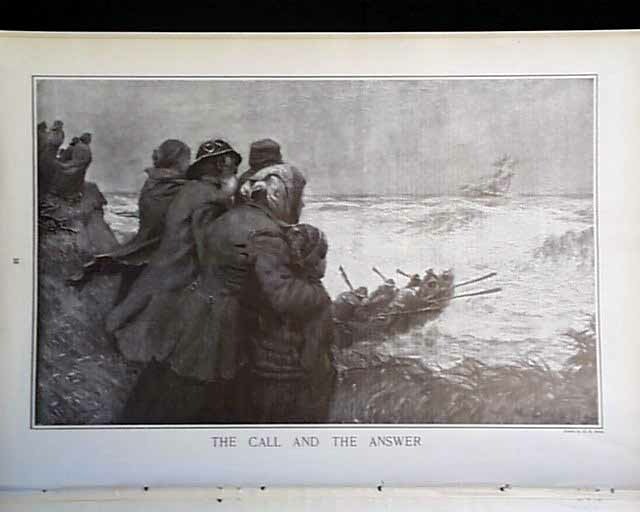 There also is an illustration of "The Call and the Answer" by H. M. Brett; a double page illustration by Kemble called "The Big Three in Their Specialty" plus the seventh comic in Grill's "The White House Boys, Bill and Jack" and much more.